Himalayan Salt Lamps are so beautiful and bring something special to the room but you may not have realized the health benefits they provide! Please come have a look at the selection of Himalayan Lamps and cooking plates and energy globes we have at the Spa. With this basic understanding of the behavio rs of positive and negative ions fresh in your mind, let’s take a look at the top 10 benefits of Himalayan Salt Lamps. One of the health detriments of breathing lots of positive ions in the air is that the cilia (microscopic hairs) which line the trachea (aka: windpipe) become sluggish and don’t work as well to keep contaminants out of our lungs. As a Himalayan pink salt lamp absorbs water and particles from the air, it also takes positive ions with them. Then, when the heated salt releases cleansed water vapor back into the air, it also expels negative ions which have the opposite effect on our airways – to keep your lungs clear. Taking a drive through the countryside with the windows down, spending time at the beach, camping in the mountains, or simply taking a shower first thing in the morning are all things that many people find invigorating. It’s not a coincidence that these are all activities which expose us to increased concentrations of negative ions such as those generated by Himalayan salt lamps. The fact is, positive ions sap our bodies of energy. Unfortunately, it’s all too common for us to try to diagnose the problem as something else entirely. According to New Beauty magazine the next big thing on the radar are products that contain a base of water. Products with a high water content are more compatible with a wider variety of skin types and are also a natural way for skin to remain hydrated. We could not agree more! 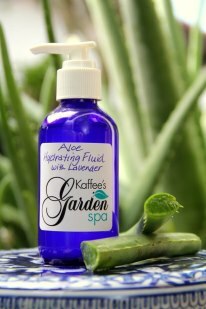 Kaffee’s proprietary Aloe Hydrating Fluid is a water based, oil free serum that saturates the skin with hydrating ingredients and has developed a “cult” following among it’s admirers for years. To meet the demand of women who want well-hydrated skin, now other beauty brands are creating products that focus on deep hydration by packing moisture into the dermis in the form of water-based products. They are formulated to infuse skin with hydration without disrupting the moisture barrier, This is exactly what our Hydrating Serum does with the help of its key ingredient, whole leaf aloe vera, which helps the penetration process of all the other ingredients. The other important component in our formula is hyaluronic acid which acts like a sponge and holds the moisture in the skin’s deeper layers. “Water-based formulations layer well with other products and work toward the end goal of helping to keep skin better hydrated so that other products absorb properly and function more effectively. Hydrating Fluid functions as a watery ‘booster essence’ also referred to as a ‘first essence’ to prep the skin, Anything that has a watery feel to it, like a toner, tonic, essence, mist, watery gel , falls under this umbrella. Products that are water-based or have a watery consistency should be applied to skin at the beginning of your skin-care regimen and apply a moisturizer or blended oil over top to seal in the water based product. 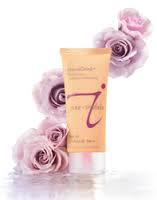 The results are amazing for any skin condition and will change the look and feel rapidly. 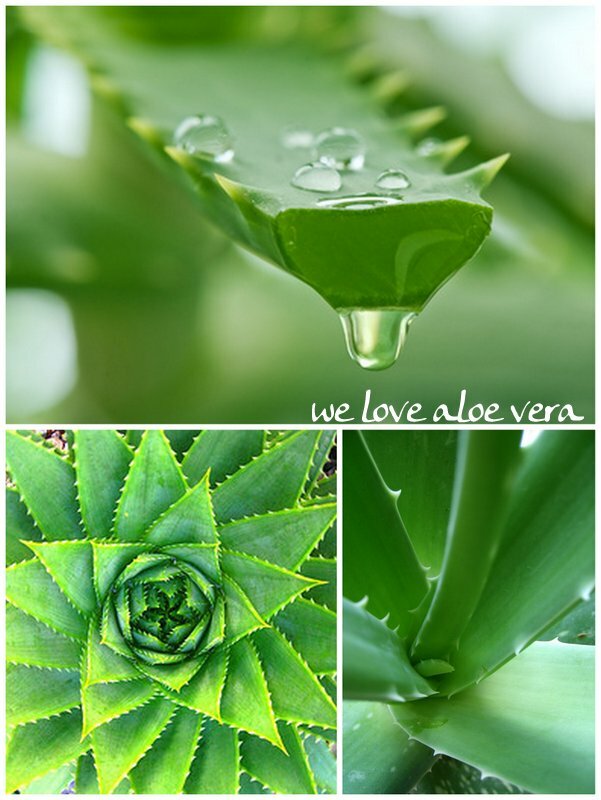 We are happy to have the beauty industry touting the use of water based products because we love Aloe Hydrating Fluid!!! Since 1992, The Health Resource Network has sponsored Stress Awareness Month in an effort to raise public awareness about how stress affects our lives and what we can do to address it. Long term, prolonged stress can lead to serious health issues. The American Heart Association states that many behaviors that accompany chronic stress elevate blood pressure. These behaviors are poor eating habits, inactivity, smoking, and high alcohol intake. At KAFFEE’S GARDEN SPA, our team of Spa Therapists are very aware that stress elevates the heart rate, increases muscular tension, breathing rate and feelings of anxiety. We are trained to provide therapies to help manage and correct the effects of stress. There are medical findings showing that massage promotes the relaxation response which is when the heart rate decelerates, breathing rate slows and muscles relax. Massage therapy is a proven, non-invasive way to physically reduce levels of stress hormones in the body while increasing levels of endorphins (the feel good hormone). A weekly massage can do wonders to help manage a stressful period. Every one of our other holistic spa therapies provides relaxation and stress reduction. A session in the Salt Room to receive microscopic salt particles will clean your airways to improve lung function allowing deeper breathing and better sleep. Our Spa Facial is a relaxing and therapeutic, sensory delight that introduces you to the subtleties of Aromatherapy, which are essential oils that supports the nervous system, helping to manage stress. The facial also includes a hand and foot massage in addition to the shoulder, neck and face massage. Really just stepping in the door of the Spa, knowing you are about to be treated, is an immediate stress buster! Deep breathing counters the effects of stress by slowing the heart rate and lowering blood pressure. Take 5 minutes and focus on only one behavior with awareness. Notice how the air feels on your face when you’re walking and how your feet feel hitting the ground. Enjoy the texture and taste of each bite of food. When you spend time in the moment and focus on your senses, you should feel less tense.. Simply be aware of places you feel tight or loose without trying to change anything. For 1 to 2 minutes, imagine each deep breath flowing to that body part. Repeat this process as you move your focus up your body, paying close attention to sensations you feel in each body part. A few minutes of practice per day can help ease anxiety. It is generally accepted that daily meditation can alter the brain’s neural pathways, making you be more resilient to stress. It’s simple. Sit up straight with both feet on the floor. Close your eyes.. Focus your attention on reciting – out loud or silently – a positive mantra such as “I feel at peace” or “I love myself.” Place one hand on your belly to sync the mantra with your breaths. Let any distracting thoughts float by like clouds. Place a warm heat wrap around your neck and shoulders for 10 minutes. Close your eyes and relax your face, neck, upper chest, and back muscles. Take a warm bath with salts and essential oils that support the nervous system, like the ever popular Lavender. A good belly laugh doesn’t just lighten the load mentally. It lowers cortisol, your body’s stress hormone, and boosts brain chemicals called endorphins, which help your mood. Lighten up by tuning in to your favorite sitcom or video, reading the comics, or chatting with someone who makes you smile. Don’t you always feel better when you talk to someone you love? Research shows that listening to soothing music can lower blood pressure, heart rate, and anxiety. Create a playlist of songs or nature sounds (the ocean, a bubbling brook, birds chirping), and allow your mind to focus on the different melodies, instruments, or singers in the piece. Also singing along to your favorite songs will give you a lift in the shower or where ever! You don’t have to run in order to get a runner’s high. All forms of exercise, including yoga and walking, can ease depression and anxiety by helping the brain release feel-good chemicals and by giving your body a chance to practice dealing with stress. You can go for a quick walk around the block, take the stairs up and down a few flights, or do some stretching exercise like head rolls and shoulder shrugs. Your social network is one of your best tools for handling stress. Talk to others – preferably face to face, or at least on the phone. Share what’s going on. You can get a fresh perspective while keeping your connection strong. The relationship between Client and Spa Therapist is a perfect example of a supportive connection. We hope you have found this information helpful and that by making frequent visits to the Spa and practicing a few of the tips you found here, you will feel happier and healthier with minimal stress. To celebrate Stress Awareness Month we are offering you a specially priced package, The Garden Salt Kur for $135.00 (regularly $160.00) only during the month of April. 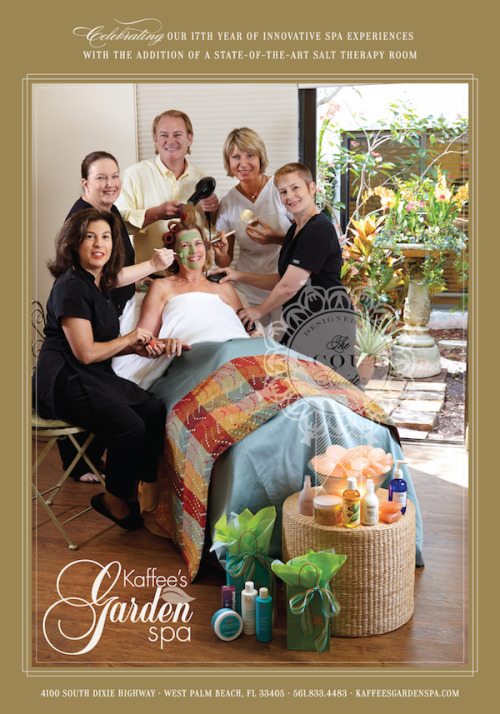 Visit our website to see the details of this relaxing package KaffeesGardenSpa.com or call us at 561-833-4483. 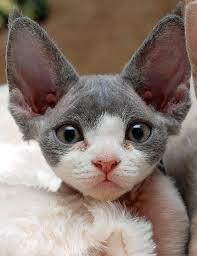 Go Ahead…Tell me Again…What was that Spa Package you wanted for Christmas??? FACIALS, MASSAGES, MANICURES… OH MY! One of the MOST requested gifts! Two great ways to Give the Gift of Spaaaaa! #1 Purchase Gift Certificates that total $200.00 (In any increments you choose. 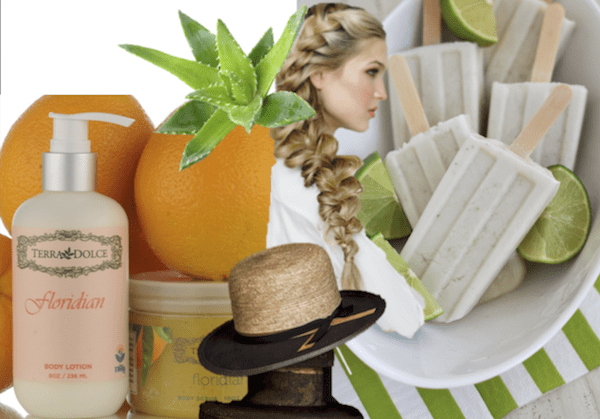 Example: buy 4 $50.00 for 4 different gifts) And get an additional $50.00 certificate for FREE to be used in the Spa Lovers Boutique for any in stock product. Since 1998 it has been the mission of Kaffee’s Garden Spa to “provide the safest and most supportive ways to assist the body and mind in finding renewed vitality”. In keeping with that quest we are pleased to announce the addition of an exciting new wellness option, DRY SALT THERAPY, to our existing therapies and treatments. This dynamic and time proven therapy has been practiced in the Salt Mines of Europe for hundreds of years but until recently has not been available elsewhere. With the help of technology, the Halogenerator (Halo being the Greek word for Salt) is able to create the same healing environment as the European Salt Mines. 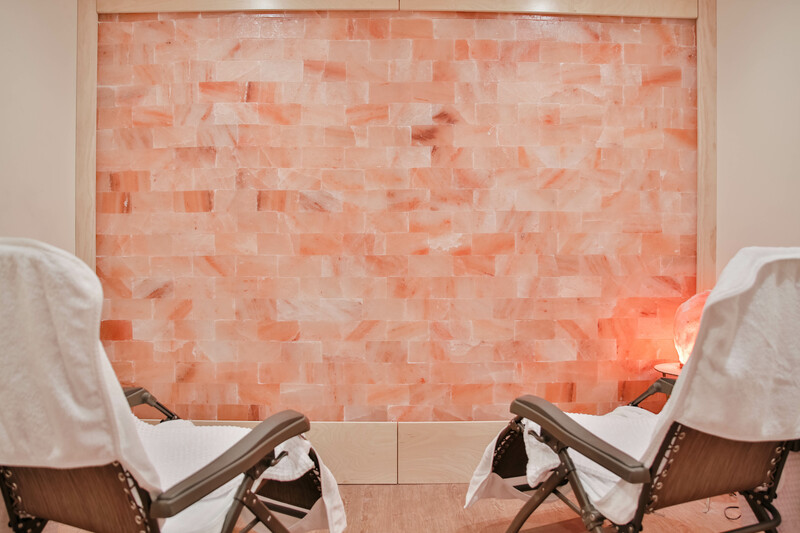 The new Salt Room at Kaffee’s Garden Spa is a relaxing space complete with a unique backlit Himalayan salt wall and zero gravity chairs to lay back and breathe in the benefits of the micronized aerosol of purified salt mist created by our state of the art Halogenerator. The 45 minute sessions are particularly beneficial for the respiratory system and the skin. Please visit our website www.KaffeesGardenSpa.com for more specifics on the health benefits of Dry Salt Therapy. 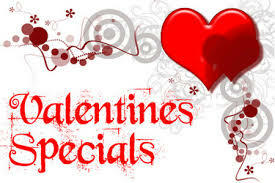 HAVE A MASSAGE & SALT TOGETHER called the Ultimate Salt Session $95.00!!!! We are pleased to announce the addition of the Salt Room at Kaffee’s Garden Salt. Opps! I mean Kaffee’s Garden SPA!. This special room, which is located just off of our relaxation area, will be up and running within the next few weeks. It will bring a new opportunity to make your visit to the Spa more profound and therapeutic. If you are not familiar with this wellness modality please enjoy reading the Dry Salt Therapy FAQs below to learn the fundamentals of how Dry Salt Therapy works and what you can expect. Those of you who have already “Taken the Salt” elsewhere will be excited to be able to have a session and a Spa Treatment together for the ultimate experience and “Breathe in Wellness”! Dry salt therapy, or halotherapy, is a holistic, drug free, natural wellness therapy using micro particles of salt to promote better breathing, healthier skin, sounder sleep, improved physical fitness and endurance and overall wellness. Dry salt therapy also helps to improve symptoms of many respiratory and skin conditions. 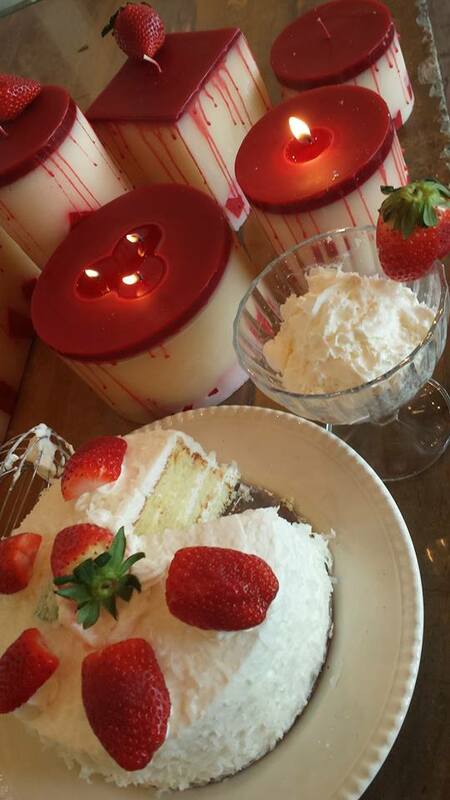 Relaxing in our Salt Room is a unique experience and has an overall clarifying effect! How does Dry Salt Therapy Work? 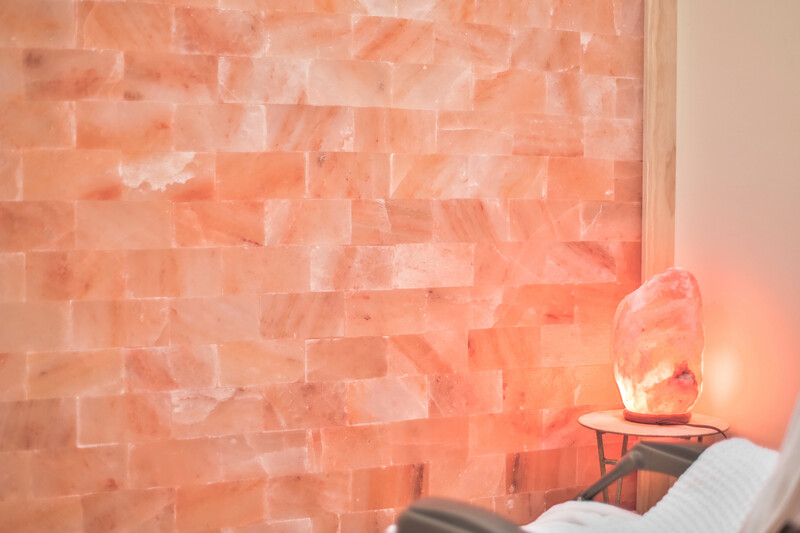 Our full body Himalayan Salt Stone Treatment relaxes as it balances the central nervous system. We use hand carved salt crystals from one of the most pristine environments in the world – salt caves deep below the Himalayan Mountains. This body treatment combines various Swedish massage techniques, thermal therapy and salt the…rapy. 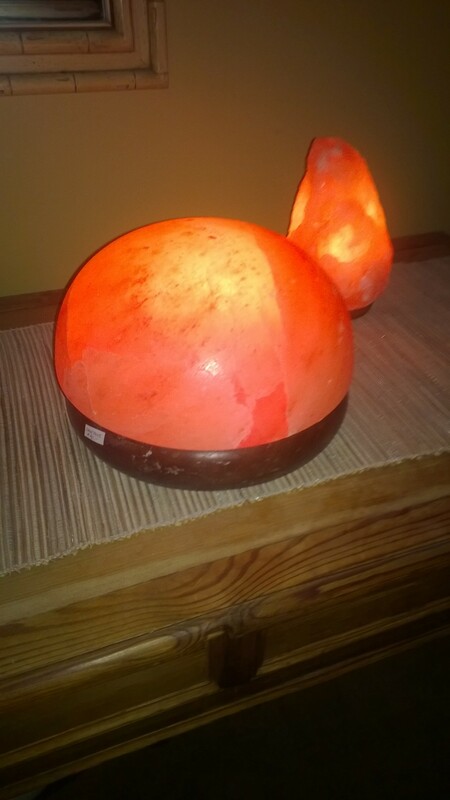 The salt stones are warmed in a beautiful Salt Crystal Lamp bowl and are used on strategic points and in specific combinations to balance the body’s energy pathways and electromagnetic field. This results in very deep relaxation, improved sleep and reduced inflammation in addition to mild detoxification and mild skin exfoliation.